A performance game and interactive installation, created in collaboration and installed at SFMoMA, and then Portland Museum of Art. 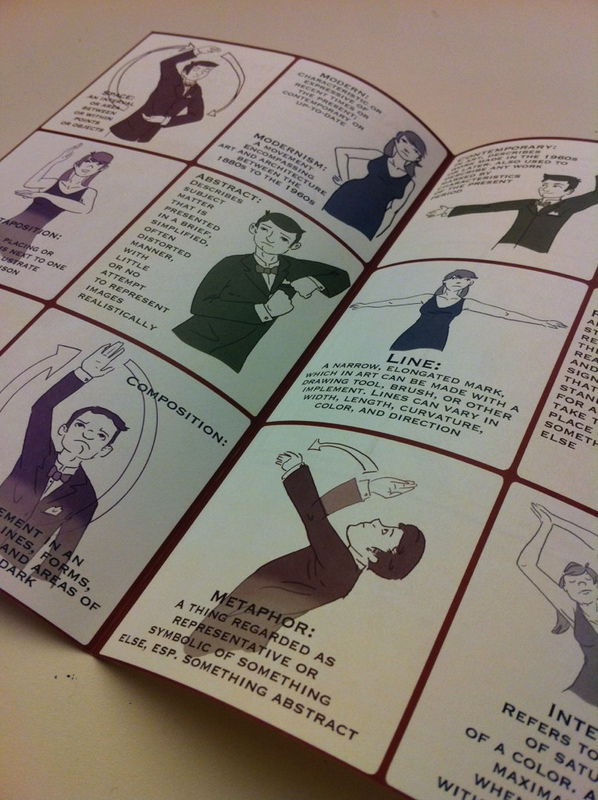 From the press release: This performance game functions as a reverse version of charades. Created by Ben Carpenter and Sudhu Tewari with illustrations by Meredith Scheff, the game invites players in SFMOMA's galleries to be on the lookout for certain vocabulary words relating to the artwork on view, whether overhead in other visitors' conversations, spotted in wall texts, or passing through the player's own thoughts. 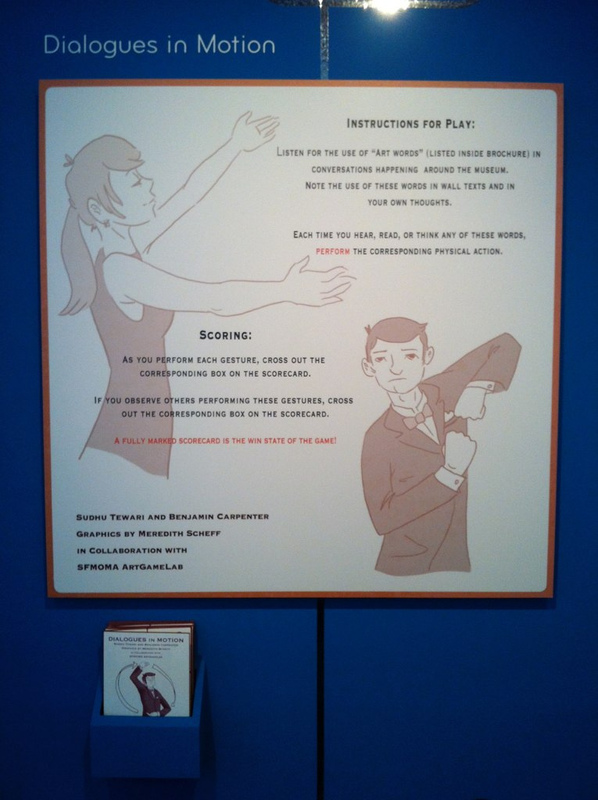 Each time a word is identified, the player makes a corresponding physical gesture—becoming a performer—and marks a box on a scorecard. A fully marked scorecard is the "win state" of the game.